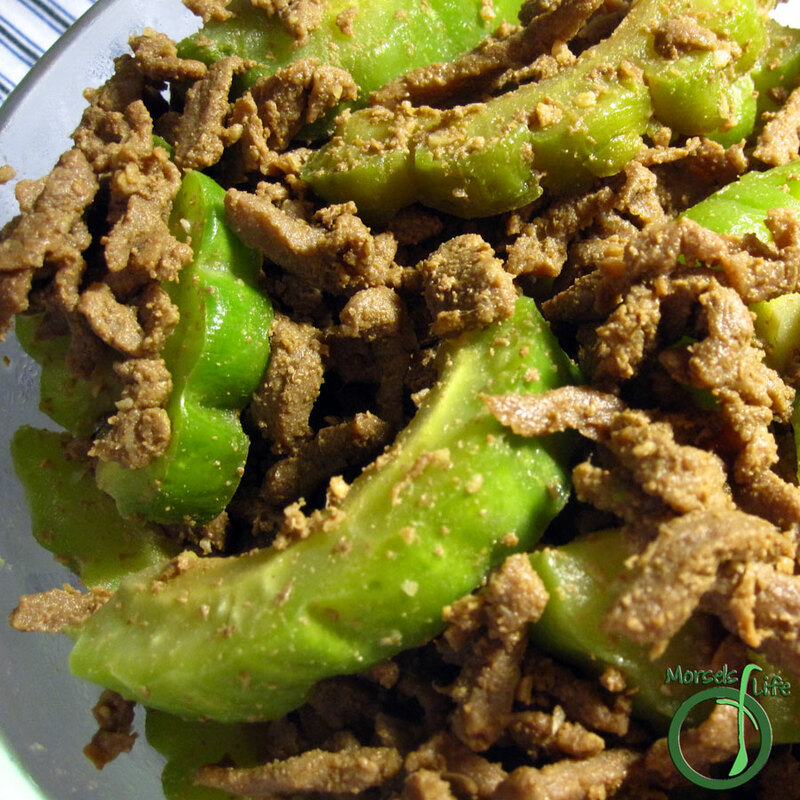 A unique stirfry featuring beef and bitter melon flavored with garlic and ginger. As we wandered around the produce section, wondering what to buy for meals this week, we saw some bitter melon, or 苦瓜, on sale. It's been quite a while since we've gotten bitter melon, so we decided to get some. Plus, bitter melon cooks pretty quickly and easily - good for our busy schedules! Bitter melon isn't the most attractive food with its wart-like skin and all, but I like the flavor. Bitter melon, as the name implies, is somewhat bitter tasting, but if the bitterness bothers you too much, you can blanch the bitter melon slices, removing a lot of the bitterness. It's also got a plethora of health benefits. 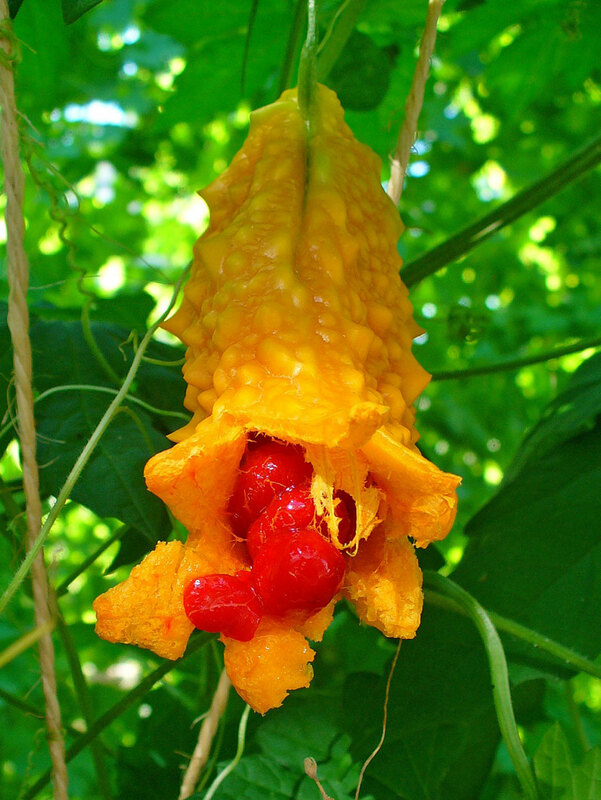 Since bitter melon is eaten green, I always thought it was ripe when green (like cucumbers or zucchini), but the bitter melon fruit actually turns yellow, and the pith/seeds turn a bright red! When fully ripe, the flesh is too bitter to eat, but the pith becomes sweet and can be eaten raw. At that point, the flesh will actually split open, revealing the bright red insides. What's a unique fruit or veggie you like? Cut bitter melon in half length-wise and remove all seeds, then cut into quarter-inch slices. Add in bitter melon and cook to desired level of tenderness.